Summer Camp 2019 is right around the corner. In addition to our regular day camp (June 6 – Aug 2) we will be hosting several athletic camps. Those dates and times are to be announced. We will also host the WITTS basketball training academy on June 5 & 6. As we put the final touches on our weekly themes and off-campus excursions, we would like to provide you a bulleted list of pertinent camp information. Consider it the “stuff you need to know.” A summary of this can be found in a PDF attachment below. Camp Hours. Camp is open from 7:30am to 5:30pm daily. Food. Lunch & afternoon snacks are free and served daily. This is a service provided at no cost and sponsored by the SOS Outreach Mission. The weekly menu will be sent to you by text the Friday before the ensuing week. Of course you are not obligated to eat our lunch — feel free to bring your own. Bathing suit with towel – it’s the summer & sometimes you just need to have some fun in the water. Camp Shirts. Every camper will receive 1-2 camp shirts. It is imperative that your camper wear their Basilica Summer Camp shirt on all field trip days. Entrance & Exit. It is recommended that all Minnows enter from the back parking lot off of Windsor Lane. Both front and rear gates have combination locks. You will receive the gate code on your first day at camp. Bulletin Boards. All main entrances will have bulletin boards with a list of daily activities as well as a student locator. The board closest to the rear entrance will have information pertaining to Minnows only. The Dolphins and Sharks student locator will be positioned in the front lobby and outside of the Rose Renna Activity Center. Rooms. Minnows 3 & 4 – St. Theresa. White building in the back of the school. Dolphins K & 1- Rooms 109 & 110. Sharks are in the Rose Renna Activity Center. Fees. All camp dues are paid through your personal prepay account in FACTS. Setting up a FACTS prepay account is simple and easy. Are you new and need to set up a FACTS account, please e-mail Mr. Robert Wright at principal@basilicaschool.com. Leave your camper’s name and age. Returning Basilica School parents will continue to use their existing prepay account. We look forward to a fun filled summer here at The Basilica School. 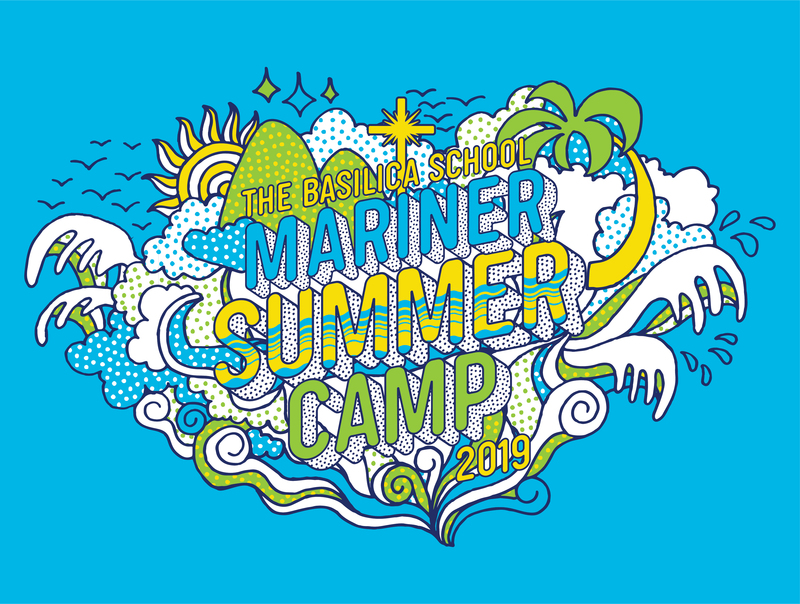 If you have any questions, please contact our Camp Director, Ms. Danielle Gould at gould@basilicaschool.com. If you need additional help, our summer office hours are Monday – Thursday from 8:30am – 2:00pm. Have a safe and blessed summer!